How to draw rotated image using DrawableCompositeImage and DrawableRotation? I have rotated rectangle only. My image in this case is not rotated but why? Last edited by Airon65 on 2017-04-19T03:53:33-07:00, edited 1 time in total. 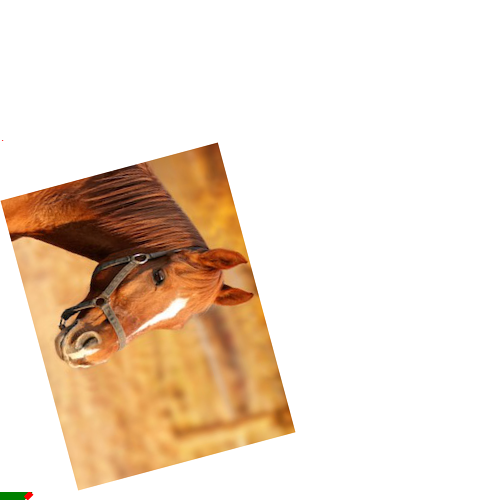 Re: How to draw rotated image using DrawableCompositeImage and DrawableRotation? Last edited by Airon65 on 2017-04-19T03:53:49-07:00, edited 1 time in total. Airon65 wrote: I have rotated rectangle only. My image in this case is not rotated but why? The rotate primitive rotates subsequent shape primitives and text primitives about the origin of the main image. An image is not a shape primitive, nor a text primitive. Airon65 wrote: I get twice-rotated scene! What does that mean? Please show the result. 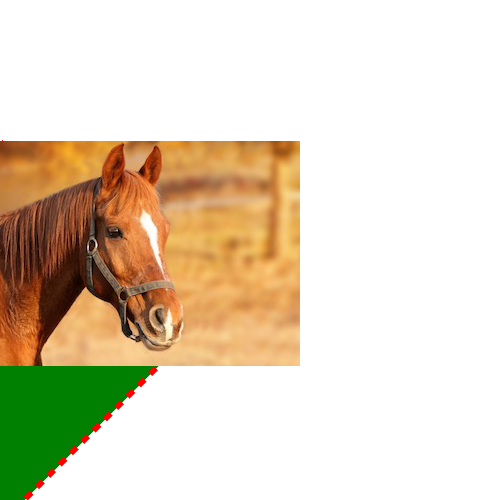 The horse has rotated once, by 75 degrees. That is what you asked for. I can't see how much the rectangle has rotated. Why the rectangle changes its place? Is this normal behaviour or some sort of a bug? You are not rotating by a simple one-time 75 degrees. If I do a 75 deg rotate, I get something different and the green and red lines are just fine. Try this in the command line to test what a 75 degree rotate should look like. EDIT: Sorry I misread your code and saw 45 degrees there. But you actually want 75 deg. So I have corrected my comments above. Well, so can Magick++ rotate object around a specified anchor point of that object? What's the origin of the main image? Is it the center of it? The origin of an image is coordinate (0,0), the top-left corner.